As HMA’s chief executive officer, Marilynn Evert is responsible for overall management of the firm, including strategic planning and execution, business development, budgeting and financial oversight, and staffing. During her tenure, HMA has grown to 22 offices nationwide, and nearly 300 colleagues. Marilynn also assists clients with assessment of new markets and products, and with program design, implementation, and evaluation. 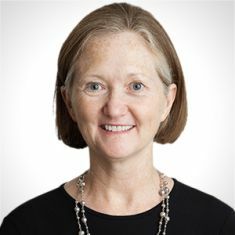 Marilynn is a former senior state official with more than 25 years of experience in health policy, program development and evaluation, and government relations. Prior to joining HMA, she coordinated all legislative, communications, consumer assistance, and consumer information initiatives for the Florida Agency for Health Care Administration. In this role, she was responsible for leading, negotiating and building consensus for the agency’s policy agenda, budget requests, and legislative proposals. She worked closely with health care industry leaders, associations, special interest groups, and the business community. Marilynn also served as chairman of the Florida Health Insurance Survey Policy Oversight Committee and vice chairman of the Orlando Community Health Improvement Coalition. Marilynn earned her MBA from Pepperdine University and her bachelor’s degree in economics from Vanderbilt University. When not traveling between HMA offices, Marilynn lives on a small organic, hydroponics and citrus farm in Tallahassee, Florida, with her husband and daughter.